Sign up for your FREE embroidery pattern. Sign up below to get Penguin & Fish updates from me (Alyssa) with giveaways, news, and tips on how to “Craft a Happy Life”. 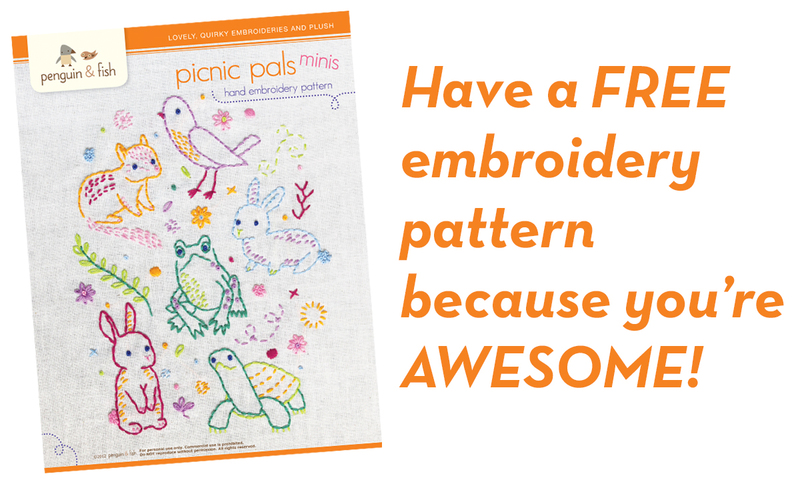 As a newsletter subscriber, you’ll receive the “Picnic Pals” hand embroidery pattern as a digital download for FREE!